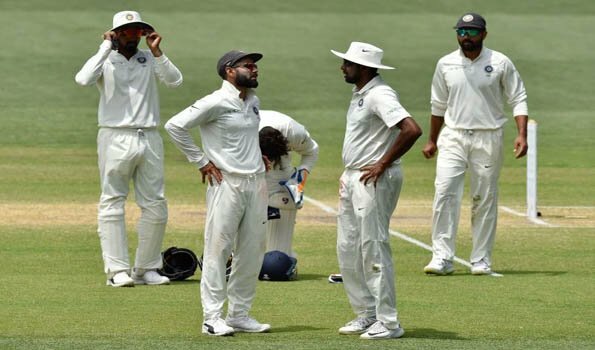 Melbourne: The Board of Control for Cricket in India (BCCI) on Tuesday announced the playing XI for the Melbourne Test against Australia, where they have inducted Rohit Sharma and all-rounder Ravindra Jadeja. Rohit Sharma missed the Perth Test due to an injury, but was declared fit for the third Test, while ace spinner Ravichandran Ashwin has failed to recover from an abdominal strain. Having won the first Test at Adelaide, the Indian team lost the second Test by a hefty margin of 146 runs. With the loss, the Indian team selection came under the scanner. More so, the Indian openers Murali Vijay and KL Rahul had to face the heat as yet again both of them failed to score runs for India. However, the Indian team drafted Mayank Agarwal and Hardik Pandya into the squad for the rest of the series.